To succeed in today’s business landscape quality education is a must. Quality education is equivalent to graduating from top institutions. For students who want to pursue higher education like an MBA, the first step is to crack one of the many MBA entrance exams conducted in India. However, there is more to higher education than preparing for entrance exams. In fact, we can go so far as to say that clearing an entrance exam is only the first step towards enrolling in your dream university. Perhaps the most important aspect and oftentimes obstacle to pursuing quality higher education is the ability to pay the exuberant fees. Unlike a few decades ago, the cost of education is constantly rising. The cost of education is increasing at an average rate of 15 percent per year. Over the past 15 years, the cost of an MBA has gone from INR 2.5 lakh to INR 20 lakh. The state of the economy these days makes it quite difficult for parents to pay the high fees from their savings alone. Since admission season is just around the corner, many students and parents are looking for various funding options that can help pay their tuition fees, without leaving them financially burdened. 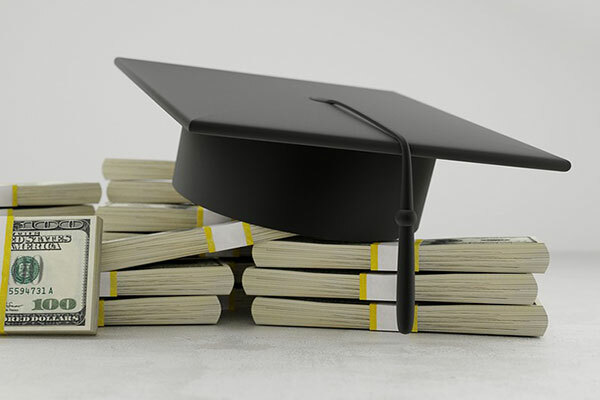 Professional/graduate students loans are available to those students who want to pursue higher education or advanced degrees like an MBA from colleges across India. However, a student should have successfully completed their undergraduate degree with a good score to be eligible for this type of loan. These types of loans are available for parents of students who are interested in further education. These types of loans are unsecured and can be utilised to meet various expenses such as tuition fees, living expenses, books, transportation, and other miscellaneous costs. The loans can also be availed for students to enrol in secondary schools, military elementary schools, religious, private or non-public schools across the country. It is extremely important that parents and students are well informed before opting for an education loan so as to avoid a state of bankruptcy later. In March 2011, student loan debt surpassed the $1 trillion mark, indicating that students are making their higher education student loan decisions without concrete guidance. It is important that financial aid consultants and colleges take the required efforts to educate potential students about the types of loans, interest rates, repayment tenure, and more before they make such important decisions. The next question is how can colleges help in educating students and parents about education loans? Colleges should do more than provide a list of banks that can provide education loans; they can recommend how much a student needs to borrow based on their tuition fees. Furthermore, colleges should also explain the estimated monthly repayment amounts after graduation and how long it will take for students to repay their loan in full. For instance, when a student secures lower student loan payments with attractive interest rates, it can lead to students saving thousands over the course of their loan. By simply providing this basic information at the right time, colleges can enable students to make better and informed decisions about student loans. Taking it a step further, colleges can also reduce the time and stress associated with the complex loan application process. They could start with providing online support to help students and parents to complete the required paperwork. Various colleges have already started providing loans without the need to show any tangible collateral security once students have a joining letter with them. College education lasts for two years, however, the loan repayment process can extend up to 20-30 years. Therefore, it’s important and beneficial for families and students to get a helping hand from the university they are aspiring to enrol in. Universities must provide the necessary support to make the students feel secure and confident while deciding on an education loan.